The 700 years of the Mayan Classical saw a great flowering of Mayan art. Stone carvings became ubiquitous throughout the Mayan region. 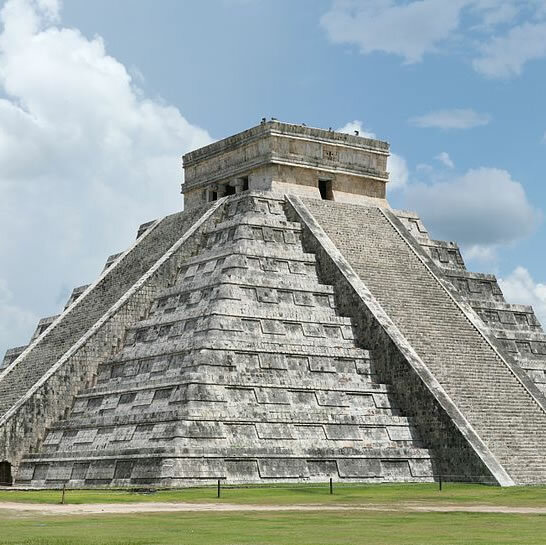 The Mayan covered buildings and pyramid stairways with depictions of rulers and hieroglyphic writings. They also created thousands of stone stelae, great slabs of limestone carved into images of kings and nobility and covered with writings describing their lineages and deeds of valor. 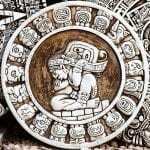 The Mayan Classical age reveals an abundance of energetic artworks in stone, shells, bone, wood, obsidian, jade, silver, clay, stucco, textiles and precious metals. Gold and silver were never abundant in Mayan regions, so artists mainly forged gold and silver into jewelry. 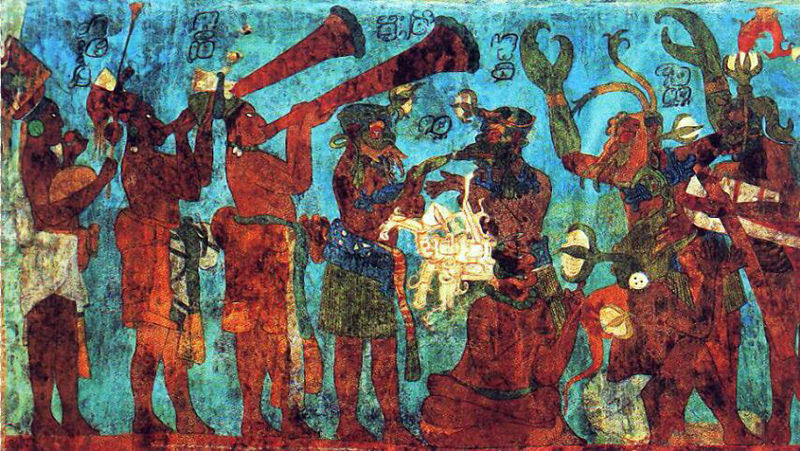 Elite Mayans, the rulers and nobility, commissioned works of art in order to establish their status as elites. Painted vessels, stucco portraits, carved obsidian mirrors and tiny clay figurines all turn up in the tombs of nobles and kings. While kings commissioned great works of art for public viewing such as statues, stelae and temple murals, nobles more often bought smaller, exquisite art works for personal adornment and home decoration. The artists and artisans creating these works came from every level of society. Many were elites themselves, the sons and daughters of rulers and government officials. 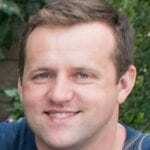 Others were commoners whose talents and artistic genius led them to their crafts. For some Mayans, their art or craft was a family business, where every member of the family had a role. Mayan ceramic workers, potters and figurine makers, expressed individual talents in their work, even signing their finished products. An individual artist’s works occasionally drew the attention of the nobility, and elites competed to obtain those particular creations. While most Mayan textiles have not survived the ages, bas relief, statues and murals show examples of the textile artisans’ work. Mayan women were the main textile workers, weaving and dyeing the fabrics—cotton, maguey cloth or woolens—then embroidering or otherwise embellishing the cloth. While Mayan clothing was generally simple, clothing decorations were not. Woven tapestries and brocades decorated homes as curtains, drapes and floor coverings. Mayan communities had their own textile design that women would weave into the cloth produced there. 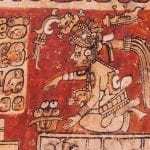 Mesoamerica’s humid climate ravaged paints as well as textiles, but many examples of Mayan paintings survived in Mayan cities in the homes of the elite. Walls, ceilings, temple arches and caves are covered in murals depicting the gods, elites or even scenes from daily life. Red and black are the most common colors of paint, but yellow and especially Maya blue can still be found. The bright turquoise Maya blue color was unique to the Maya, who invented the technique of making the color. From the great public stone works to the tiny molded figurines depicting humans, animals or mythic creatures, the Mayan Classical era produced a huge variety of artworks. Regional styles in ceramics or textiles were traded throughout the Mayan region. Some Mayan cities reveal the influence of other Mesoamerican cultures such as the Toltec or Teotihuacan. Nevertheless, all the artworks of this exuberant culture are distinctly Mayan.